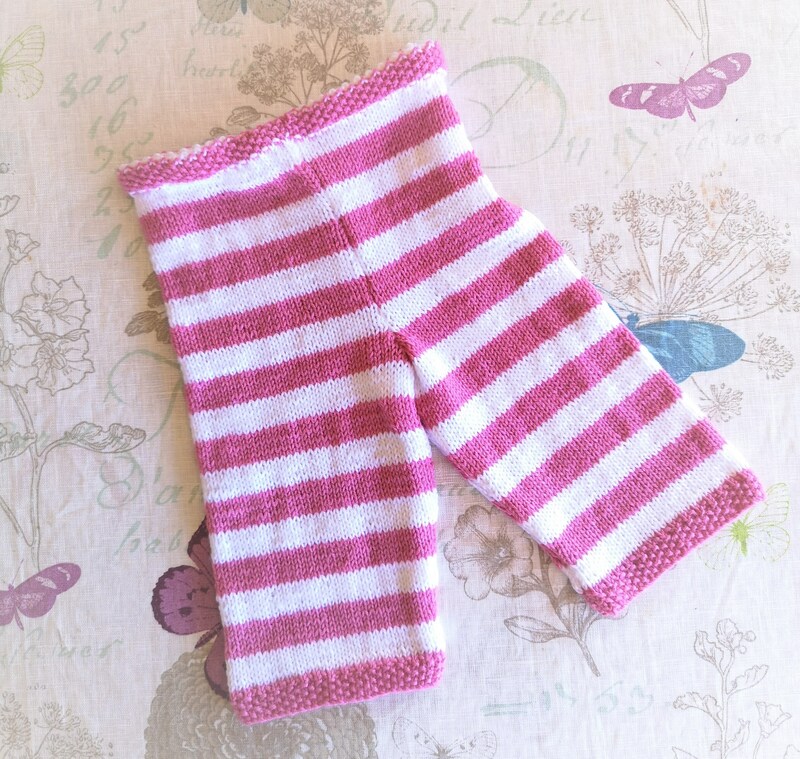 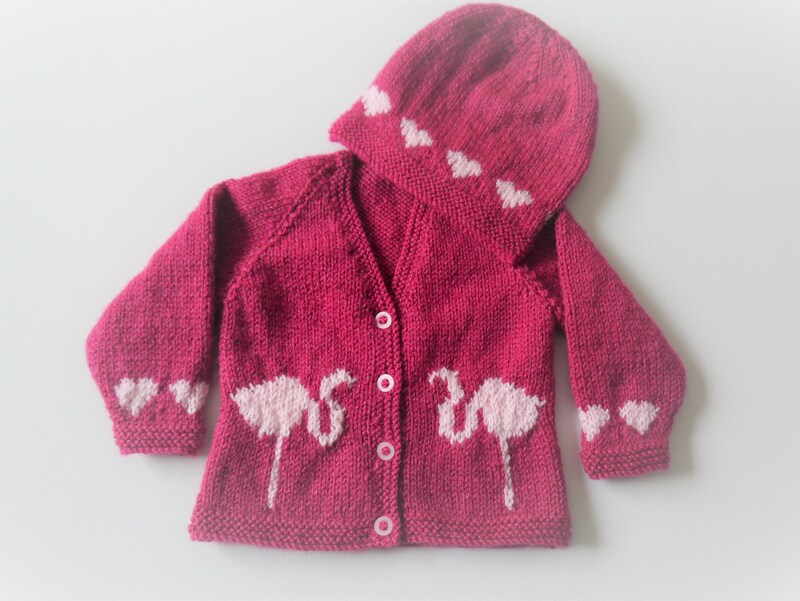 Knitting pattern for a cute Flamingo and Hearts Outfit for babies and toddlers aged birth to 18 months. 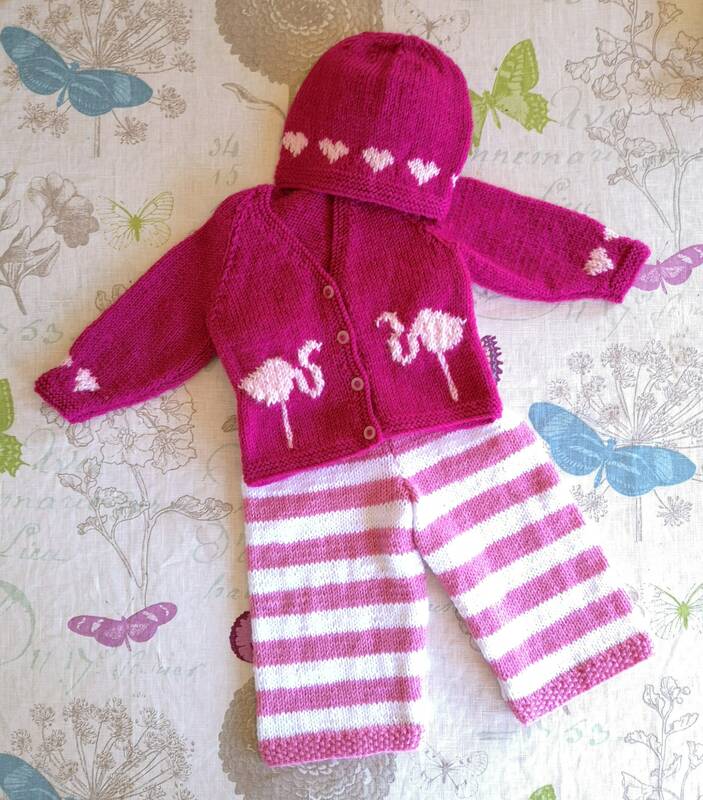 Knitted in double knitting yarn. 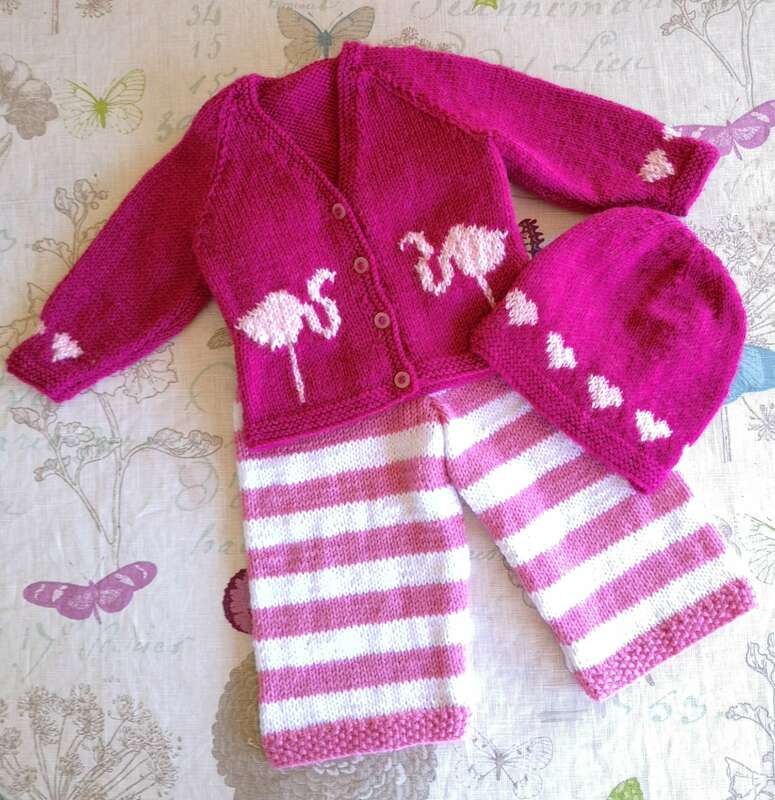 The pattern includes the V necked cardigan, trousers and hat. 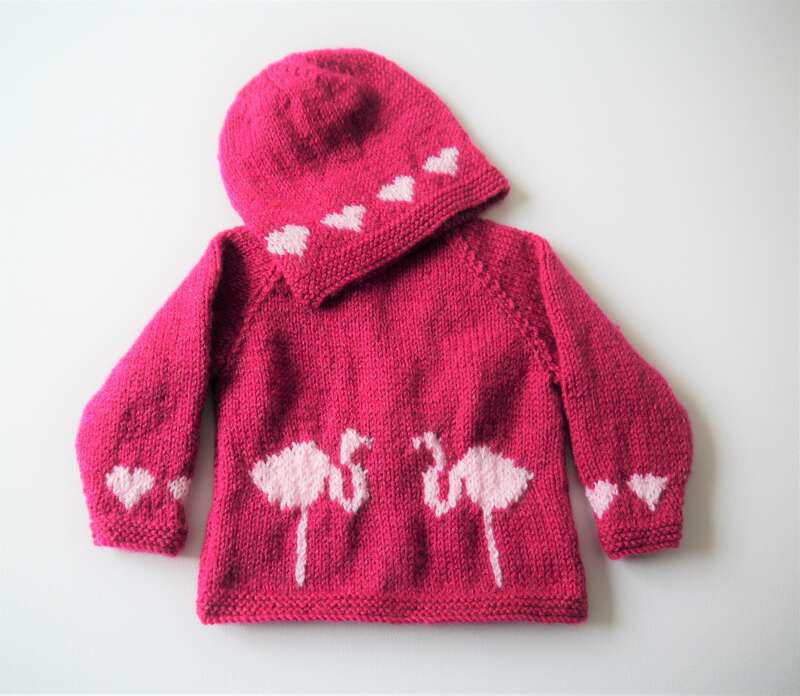 There are large charts to follow for the flamingos and hearts and the pattern includes colour coding for the different sizes.